Technical communication; teaching pedagogy; unconventional petroleum resources; energy and mineral resource policy. The University of Texas at Austin, 1985, M.A.Sc. Mike Schoen has a joint appointment as a Senior Instructor in Mining and Mineral Processing, and Chemical and Biological engineering. He has an M.A. in Energy and Mineral Resources from the department of Petroleum Engineering at the University of Texas and an honors undergraduate and graduate degree in English. He also has over 20 years of corporate experience in the oil and gas industry. His teaching focus is the 2nd year, core engineering communication course that is required of all engineering undergraduates. In these courses he strives to provide a context based on students’ disciplines. APSC 201 is taught in a “blended” environment ( a mix of problem-based and team-based learning methodologies), but class time is mostly “flipped”, meaning that students work on practice and take-home assignments in-class and review class notes and readings on the CONNECT website at home. He coordinates and teaches MINE 488 Oil Sands processing and MINE 293 and MINE 393, 1-credit communication courses which are required for the 2nd year and 3rd year cohort respectively. As well, he marks the CHBE 362 field trip report and works with student design teams. As he tells students, he has a passion for oil and gas, which is why he is situated in mining and chemical engineering. He is the faculty advisor for the UBC student chapter of Society of Petroleum Engineers. For his “dream team” working on oil and gas drilling and completions, he would chose to have a mining and\or geological engineer because of their understanding of variability in mineralogy of source rock and rock mechanics for frack design; a chemical engineer because of their knowledge of diffusion through porous media; a mechanical engineer to optimize drilling processes; and an engineering physicist with a background in geophysics to help solve the problem of applied chemistry-finding petroleum sweet spots and breaking the bond of oil and gas molecules to rock. 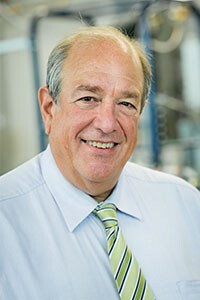 His interests are in technical communication; teaching pedagogy; unconventional petroleum resources, specifically heavy oil, oil sands, and shale oil and gas; ghg emissions and carbon capture storage; mitigative measures for mature fine tailings and emergent SAGD technologies; energy and mineral resource policy; forecasts and supply demand scenarios for energy and mineral resource production and consumption worldwide.